A rare and beautifully proportioned maisonette over the top two floors of this wide terraced building - this property has the benefit of being accessed via the original front door and reception hall of the house. It has a great combination of good first floor ceiling height, impressive width and large sash windows which really bring in the light. With two double bedrooms and a generous eat-in kitchen, the flat has a house like feel and offers further scope to expand the loft bedroom and create a south facing roof terrace, subject to the usual consents. Findon Road is a quiet and highly desired street and Ravenscourt Park is within a short walk, as is Wendell Park, numerous good schools and the shopping and transports hubs of Hammersmith and Westfield. Shepherd's Bush Market tube and Uxbridge and Askew Road's eclectic mix of shops, restaurants and theaters are all within a few minutes walk. 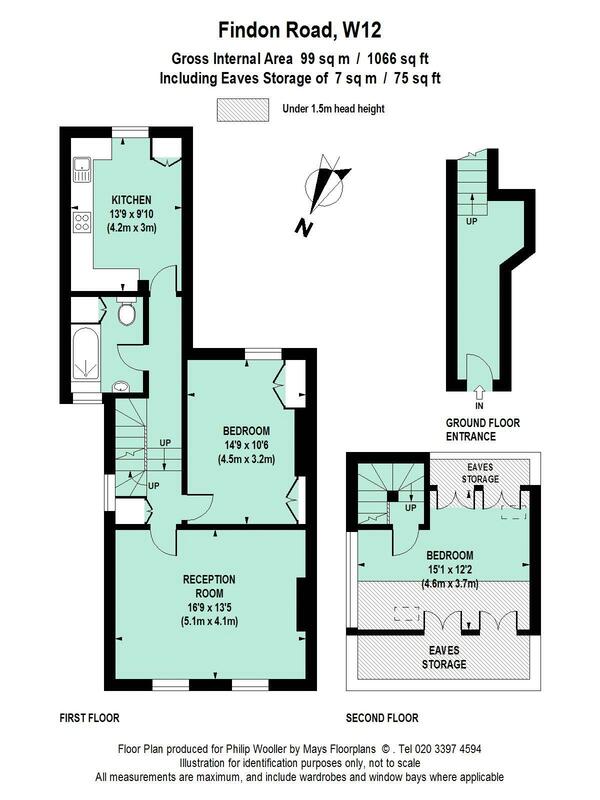 1066 sq ft / 99 sq m approx.